TEHRAN (AFP) – A conservative lawmaker in Iran slammed the sports federation on Sunday for allowing star footballer Masoud Shojaei to return to the international squad despite appearing against an Israeli team last year. 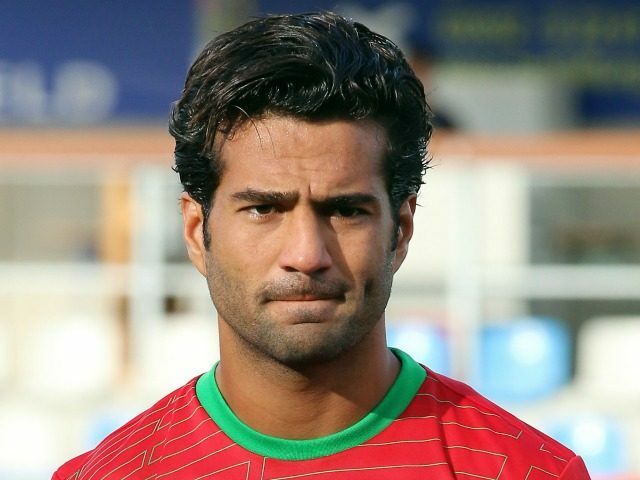 Shojaei, the 33-year-old national team captain, and teammate Ehsan Haji Safi were criticised in Iran after they appeared for their Greek club Panionios last August in a Europa League qualifier against Maccabi Tel Aviv. Deputy Sports Minister Mohammad Reza Davarzani said at the time that the pair would be banned for life. Confusion has reigned over the matter, however, with Haji Safi never banned from the international squad, while Shojaei has missed all the international fixtures until Friday’s match against Tunisia, which Iran lost 1-0. “Re-inviting Masoud Shojaei to be present in the national football team — after competing against the Zionist regime — shows that the football federation has not taken serious action on this issue,” hardline lawmaker Mohammad Ali Poormokhtar said in an interview with the conservative Fars news agency. He said the sports minister would be questioned after the current break for the Iranian new year. Iran cannot admit it bans players for appearing against Israelis because there are strict international rules against political interference in sports. The issue has come to the fore in recent weeks after wrestler Alireza Karimi Mashiani was given a six-month ban for deliberately losing a world championship match in Poland in November in order to avoid an Israeli opponent in the next round. The head of Iran’s wrestling federation quit last month in disgust, saying young athletes were being forced to lie and the authorities were letting them pay the price for their policies. “Forcing an athlete to accept defeat or run around all night looking for a doctor’s note is not right,” Rasoul Khadem, an Olympic gold medallist, told public radio ahead of his resignation. Iran is due to play another friendly against Algeria in Tehran on Tuesday.